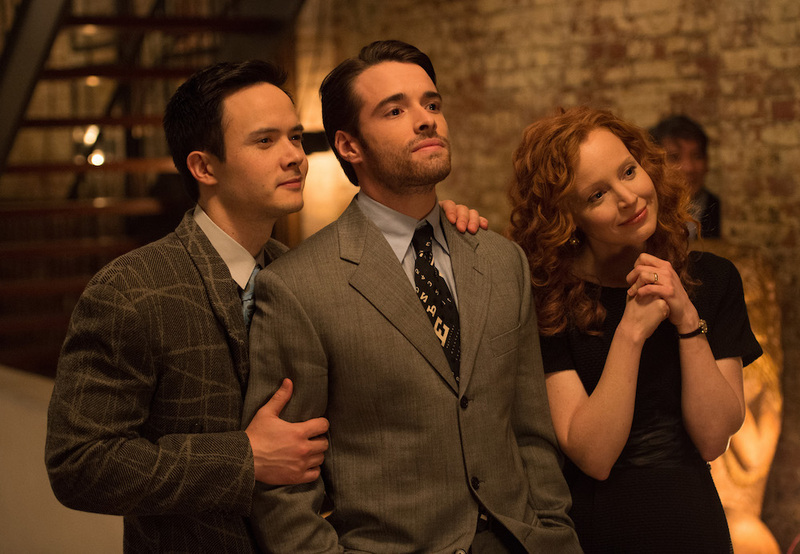 Amazon has released two new pilots, both based on books, but otherwise very, very different. In the year 2016, it’s no secret that as glamorous as old Hollywood seemed on the surface, the truth was far less wholesome. With that in mind, “The Last Tycoon,” written and directed by Billy Ray (the under-appreciated talent behind such films as “Shattered Glass,” adapting a famously unfinished roman a clef by F. Scott Fitzgerald) might seem a bit rote, but it’s got an awful lot going for it. Matt Bomer stars as Monroe Stahr, the idealistic production head of a motion picture studio who’s at odds with studio boss Pat Brady (Kelsey Grammer) while trying to get his dream picture made in the political and social climate of the 1930s. (Why yes, the subject of what’s happening in Germany does come up.) Monroe, we learn right away, is mourning the loss of his movie star wife even as he bounds around the studio, supervising every detail with seemingly limitless energy and passion. But his Don Draper-esque flair is matched by an idealism about “the picture business” which hints at a show that’s interested in pushing beyond typical antihero tropes. There are some clunky and disjointed moments. While plenty of lines feature great wit and spark, there’s also a fair amount of dialogue that works too hard to establish character and plot. It’s hard to get over one particularly unsubtle scene between Grammer and his daughter Cecilia (Lily Collins), which serves largely as an exposition dump and re-enforcement of ideas that have already been well-established. But the period details are totally on point (props to Amazon for ensuring that its big bet period dramas have enough budget to look great), and the chemistry between Bomer and Collins is one of the show’s brightest sparks. Celicia, you see, wants to become a part of the magic (despite Pat’s reservations), and “Tycoon” helps you understand why that might be; while also facing head-on the fact that life in Hollywood is far, far different from what you see in the movies. Oh, and Matt Bomer wears the hell out of a 1930s suit. “The Last Tycoon” could use a more subtle touch, but this is one we want to see more of. Based on Meg Wolitzer’s 2013 novel (and mistakenly keeping its terrible title), “The Interestings” slides wildly between an earnest dissection of high-brow teen dreamers turned grown-ups and an all-too-simple and far too soapy melodrama relying heavily on its time-jumping hook to hold an audience. Front and center is Jules Jacobsen (Lauren Ambrose as the older Jules, Katie Balen as the kid version), a wannabe actress from birth who goes to an arts camp as a youth and miraculously clicks with the cool kids. Inspired by their courageous opinions and learned talking points, Jules falls head first into friendships already established without her; fitting in but perhaps misinterpreting a few intentions. Nevertheless, the pot-smoking, drink-swilling gang of pseudo-intellectuals see each other as the peaks of their generation (in a less gratingly boastful fashion than you may think, but still somewhat irksome) and dub themselves — you guessed it — The Interestings (which, if the pilot gets picked up, will hopefully be dubbed as proof of how misguided they were as kids). That’s one phase of the show. The other takes place in the story’s present (1996), as the gang has grown up, fractured and gone on to their separate lives of mixed success. Jules has given up acting and become a therapist, a decision she struggles with as the firmest believer of the group’s motto, bluntly stated by the overweight and over-rejected artist, Ethan (who, of course, finds great success later in life): “We should do whatever we want to in life. I mean, what is the point otherwise?” What is the point, Jules wonders, with her over-drinking, blank stares and constant state of frustration? Well, I have no idea. No, not as to the point of life — a topic discussed with more nuance and meaning in “Parks and Recreation” or “Batman: The Animated Series” than this. But the point of “The Interestings” is what eludes me after its first hour: Not funny enough to be a comedy, not focused enough to be a drama and with an emotional I.Q. too low to rank among romances, “The Interestings” needs to find its through line and fast, if it even survives phase one. Stay on top of the latest breaking TV news here! Sign up for our TV email newsletter.